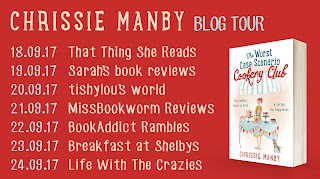 Welcome to my stop on this amazing blog tour! 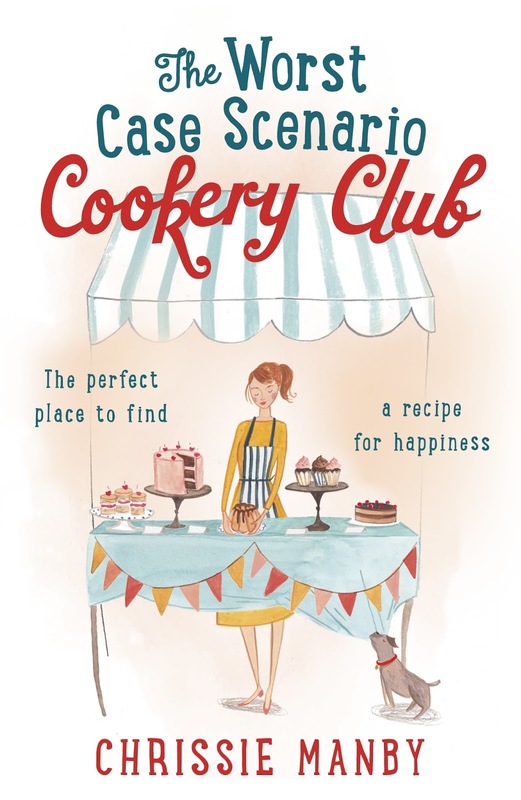 I adore Chrissie's books and am thrilled to have the opening chapter of The Worst Case Scenario Cookery Club for you to read! In the quaint seaside town of Newbay, a beginner's cookery course is starting. And three very different students have signed up . 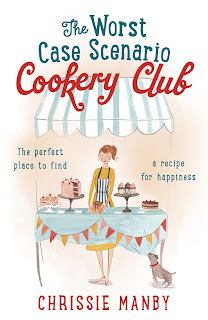 . .
Liz's husband has left her for a twenty-something clean eating blogger, and she's determined to show the world - and her daughter - she's just as capable in the kitchen. John, newly widowed after fifty years of marriage, can't live on sympathy lasagnes forever. To thirty-year-old workaholic Bella, the course is a welcome escape from her high-pressure job. Their only common ground: between them, they can barely boil an egg! New blog post. Status update! Good morning, dear readers! I hope the blessings of the universe are pouring down on your head like gentle rain today. They’re certainly raining down on me. Dearest readers, I am more blessed than I could ever have imagined and I’m itching to tell you why. Those of you who have been following my little blog since I started it last September will understand what a fantastic journey I’ve been on. Healthy eating has always been my number-one interest and to be able to share it with you has been a privilege, but, as you all know, finding someone to share my passions away from the internet has been more of a challenge. Though I’ve always worked hard on my inner and my outer self, my essential beauty kept going unnoticed. I began to wonder what the universe had planned for me. Was I stuck in my single state because I was destined to serve the many rather than The One? Like the Dalai Lama? Facebook page)! I am no longer single. It’s no longer complicated. I am in a relationship and it’s time to tell the world! Dear readers, it’s been such a whirlwind. When I met my darling BF for the first time at the beginning of the summer, I knew at once there was something between us. When I looked into his eyes, I understood I was seeing into his soul and he was looking straight back into mine. It was as though we had known each other for centuries. Do you remember that past lives reading I did in January, which revealed I was an Egyptian high priestess who gave her life for the man she loved? Well, I had no doubt that my darling BF was the reincarna-tion of that man. He is handsome, kind and intelligent. He’s my soulmate for sure. Unfortunately, just as in my Ancient Egyptian life, the course of true love was not destined to run smooth. Evil, small-minded people have put obstacles in our way. Society itself has tried to keep us apart with its petty rules and regulations. There have been times in the last three months when I thought I was losing my mind. I was so unhappy! But we all know that true love conquers everything and the people the universe intends to be together will be together, no matter what the ordinary world tries to throw at them. I always knew my Darling BF would eventually shake himself free of his doubts and the ugly chains of convention and be ready to embrace our joint destiny. I believed. So, I’m going to be spending this morning doing a sage brush smudging cleanse of my apartment to ensure that every last bit of the negative energy that’s been holding us back has finally been wafted off. I’m also going to be checking the Feng Shui alignment of my new double bed. You can find the most amazing allergy- friendly beds and mattresses via the link at the end of this blog post. Did I tell you that I called love into my life with the power of Feng Shui? If you’re single, get two model ducks and put them in your relationships corner. You will also need to make sure you’ve got space for someone to step into. Literal space in your home repre-sents the space in your heart that you’re saving for The One. I cleared out the bedside table on the left of my bed and put three empty coat hangers in my wardrobe to make clear my intention. It’s definitely worked. Yes! My Darling BF is moving in today. Thank you, Goddess. Thank you, Universe. Thank you, dear readers, for being with me every step of the way as I walk my chosen path through this wonderful world. I am blessed and I am ready! Let the rest of my life begin! Oh wow, Brittney. This is fantastic. Blessings really are upon you. You deserve it, sweetie! Much love. Darling BF sounds like a peach. Can’t wait to hear more about him! Will you be making your gluten and dairy free nut roast to welcome him into your home? I absolutely loved this book! Chrissie has been a favourite of mine for years and I'm always excited when she has a new book out. The characters, especially Liz and her teenage daughter are very likeable and real. They have a normal mother/teenage daughter relationship. It's testing and tough, it's loyal and loving and ultimately it's unbreakable. They face a really tough situation together and the way they handle it is great. The other members of the cooking class are great too. Bella is especially fab! Oh, and Alex. I love Alex. He's had his share of difficulties but wants so much to make it right. He is honest and hard working and just so damn likeable! Probably my favourite of Chris' main men! Brittney, well, what can we say about Brittney? She holds her own and doesn't back down from a fight. I'll give her credit for that! But in the end, I felt sorry for her. She gets a lot of grief for just trying to be happy and live her life by her rules and it isn't fair. Chrissie Manby is the author of twenty romantic comedies including A PROPER FAMILY HOLIDAY, THE MATCHBREAKER and SEVEN SUNNY DAYS. 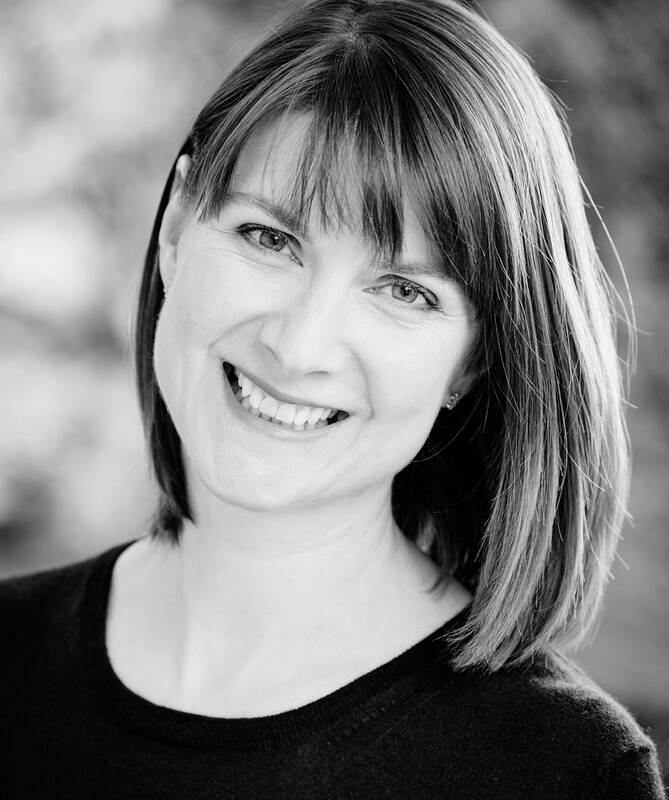 She has had several Sunday Times bestsellers and her novel about behaving badly after a break-up, GETTING OVER MR RIGHT, was nominated for the 2011 Melissa Nathan Award. Chrissie was raised in Gloucester, in the west of England, and now lives in London. Contrary to the popular conception of chick-lit writers, she is such a bad home-baker that her own father threatened to put her last creation on www.cakewrecks.com. She is, however, partial to white wine and shoes she can't walk in. You can follow her on Twitter @chrissiemanby, or visit her website www.chrissiemanby.co.uk to find out more. Thanks to Jenni Leech at Hodder for sending my an advanced pb copy in exchange for my honest review.